When moving to Manhattan, you will be asking yourself plenty of questions and you will have a lot of doubts. Most of all, there will certainly be a lot of chaos around you. The moving process to your new Manhattan home will not be that easy. But finding the best Manhattan storage solutions is the beginning of the adjustment process. Storage is a great option in many cases – when you have too many things at home or if you are moving to NYC temporarily. 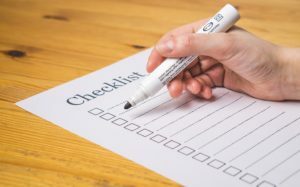 But before you get to find the best alternatives for storage Manhattan and organize your stuff, you should know how to prepare your belongings for storing. 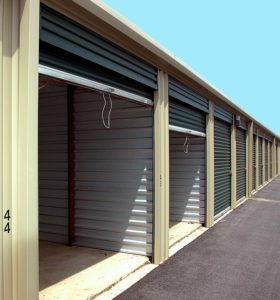 We are about to give you some good tips and ideas that you could use for finding good Manhattan storage units. Are you one of the thousands who have had to pick up all your belongings and move to a new location, in this case this amazing NYC neighborhood? If that is the case, these moving tips and tricks could be life saving! So, you are moving to Manhattan and you have already found your new house. Now it’s time to prepare moving your home. The first thing you should do is to get organized early on. This is the first step in this stressful and turbulent process. Figure out the number of days before moving. Plan on to use these days to avoid any last minute chaos. The point is to manage making a smooth and quick move to Manhattan. Also, you should figure out how you will move. Make sure to get estimates and find your good Manhattan storage on time. Find a location- First thing you need to do is to find the location that is fits you and that is near your new Manhattan home. There are lots of different storage options available to fit every situation and budget. Reserve-Once you have found the Manhattan storage that suits you, fill out the online reservation form to hold your unit and lock in your price. Move in- Bring your things to the property, meet your manager and sign your lease. Take advantage of our helpful Manhattan storage tips when loading your unit. There are lots of different Manhattan storage solutions available to fit every situation and budget. We do recommend full service storage in order to save time and costs. What type of storage do you need? Personal storage- Very often you may need storage, even if you are not moving. Maybe you just need more space at your new Manhattan home. How to pack electronics? Take a photo of the arrangement of cables behind all your electrical appliances so that it saves you time from figuring them out while unpacking. Get the packing materials for Manhattan storagethat you will need. That is: packing paper, moving blankets, moving pads, strong cardboard boxes of various sizes and tools to take apart appliances and furniture if needed. This should be your first task on your list when preparing for packing items for storage. Using stackable boxes will help you more easily arrange them. 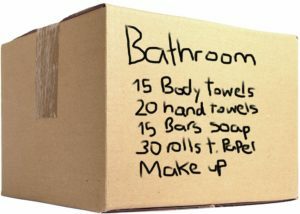 For heavier items it is good to use smaller boxes which can hold up the weight and which are easier to transfer. In your Manhattan storage place heavier and stronger items first like refrigerator, dishwater and tools. Lighter and unbreakable things like clothes on top. Label boxes with its content and which room it belongs to on its top and on each of its sides. You can keep with you a list with the boxes and their content so that you know what you’ve locked up in storage.